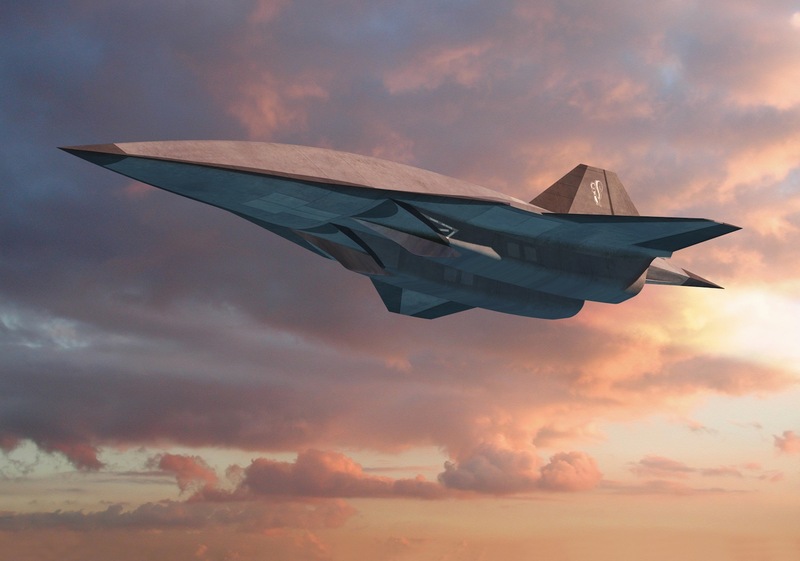 Lockheed Martin is actively pursuing hypersonic aircraft, estimating that it can build a fighter-sized demonstrator capable of reaching Mach 6 for less than $1 billion. The manufacturer revealed this week that it is advancing multiple platforms that would travel at or beyond hypersonic speed of Mach 5, or five times the speed of sound. Hewson’s revelation during the manufacturer’s annual media day in Arlington, Va., revived the SR-72 concept plane it unveiled in 2013 as a successor to the famed Mach 3-capable SR-71 Blackbird reconnaissance aircraft. Working with rocket propulsion manufacturer Aerojet Rocketdyne, Lockheed Martin proposes a “turbine-based combined cycle propulsion” system for the new plane that uses a conventional turbine engine to launch, then converts to a supersonic combustion scramjet engine to reach hypersonic speed. In a separate briefing, Rob Weiss, general manager of the Skunk Works advanced development unit, said the manufacturer is also eyeing demonstrations under the Tactical Boost Glide (TBG) and Hypersonic Air-breathing Weapon Concept (HAWC) programs sponsored by the U.S. Air Force and Defense Advanced Research Projects Agency (Darpa). The TBG program aims to develop an air-launched, hypersonic boost glide system, in which a rocket launches a payload to high speeds, and the payload then separates from the rocket and glides to its destination. Raytheon and Lockheed Martin were awarded initial contracts under the program, which Darpa announced in 2014. Following Boeing’s X-51A WaveRider demonstration of a scramjet-powered, hypersonic aircraft that flew at Mach 5 in 2013, HAWC would be an air-launched hypersonic cruise missile with long-range strike capability against time-critical or heavily defended targets, Darpa says. Technologies developed under the program could also apply to reusable hypersonic platforms for intelligence, surveillance and reconnaissance and space access.